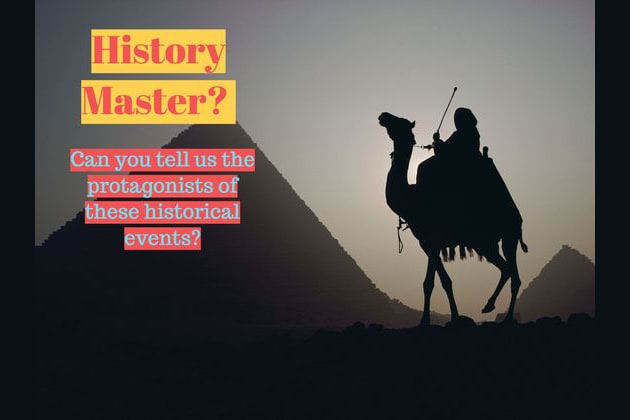 History Master? Name These Historical Names From History! Who commanded the French army in the Battle of Waterloo? When Mikhail Gorbachev resigned to who he handed over the powers of his office? Do you know who was killed in this important event of history? Who was the initiator of the European Reformation? The liberation of part of South America was on his hands. Who is he? Do you know who is the leaders in the middle? Which of this historic figures were part of the American Civil War? What is the name of this palestinean leader? Who was the leader of the Bolsheviks in the Russian Revolution? Who was the leader of Yugoslavia until 1980? Congratulations! You got the highest score! You really dig into those big books in your history classes. We believe we need more people like you who are interested in the past and I guess also the present and the future. Keep reading and studying, there is still too much to learn! That wasn´t that bad. Of course you know about Napoleon and Boris Yiltsin, but did you know about Jefferson Davis? Your knowlege on history is pretty good if we compare it with the average Joe, but you always can do better, right? Keep reading! You got the worst score in this test. That is nothing to be ashamed about, unless you thought you actually knew something about history! Anyways, keep reading and studing and you probably ace your history IQ next time! This Test Will Tell You How Much You Know About History!